Jillian Warren – Communication | Marketing | Writing | Web | Media | Raleigh & Durham, NC – My Big Launch! 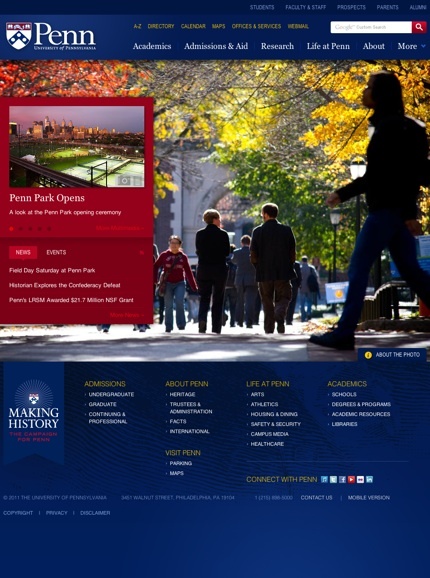 My alma mater, the University of Pennsylvania, just launched a new redesign of upenn.edu last week. I couldn’t be prouder to say that I project managed the Viget Labs team that worked with Penn on the new site! I’ll have more to say on this soon, but for now — enjoy the site!